This video illustrates clearly why you have to be careful using YouTube to find information for revision. It is produced by a company in Australia and is clearly presented, includes the right level of detail for GCSE in the UK and is easy to follow. But…. The video reinforces one of the commonest areas of confusion in this topic by its choice of images to accompany the text. In the section when the voice over is describing the role of animals in seed-dispersal, it has an image of a bee feeding on pollen in a flower. This is NOT seed dispersal! 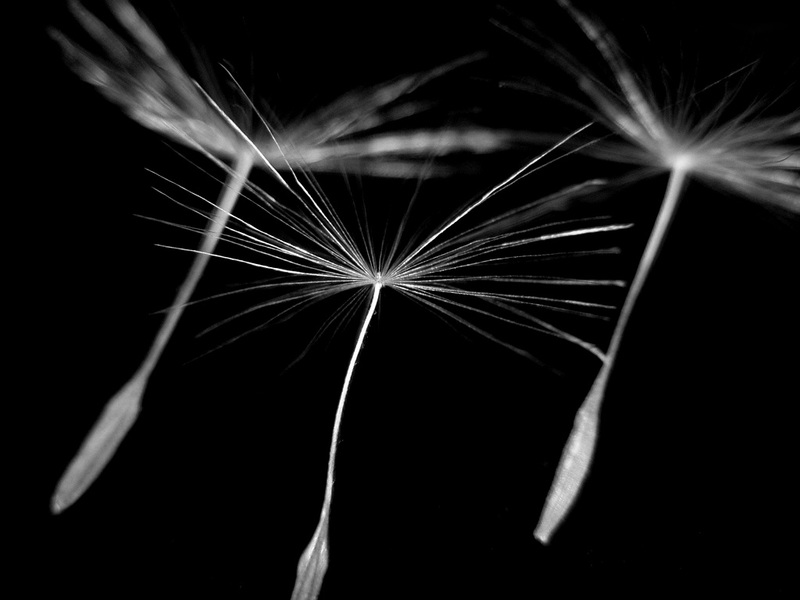 Later in the video when the voice over talks about wind-pollinated flowers, there is an image of the seeds of a dandelion being blown by the wind. This is NOT pollination! It might seem like a small point but when you have marked exam questions on this topic for 20 years and seen many students confuse these two separate processes, it starts to take on more significance. So please watch YouTube for science videos – there are some great resources on there…. But be critical and remember, just because it is on a video, it doesn’t mean it is correct! Sexual reproduction in plants is a topic that some students find difficult at iGCSE. Perhaps it is the plethora of jargon terms, perhaps there are one or two complex ideas to master, perhaps it is just because some people just aren’t interested in plants (more fool them…) Anyway this post will attempt to cover all the main ideas needed for an A* understanding…. Flower structure The flower is the reproductive organ of the plant. A key difference in reproductive biology between animals and plants is that the majority of plants are hermaphrodite. Hermaphrodite means “an organism able to produce both male and female gametes”. 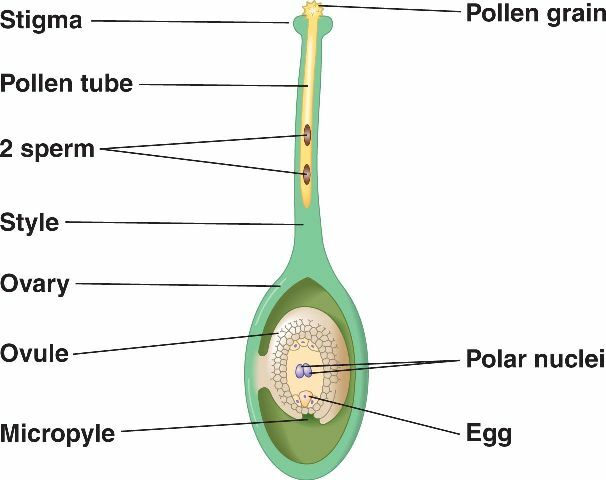 The male gamete in plants is a nucleus found inside a pollen grain, the female gamete is an egg cell nucleus found inside a structure called an ovule in the ovary of the flower. 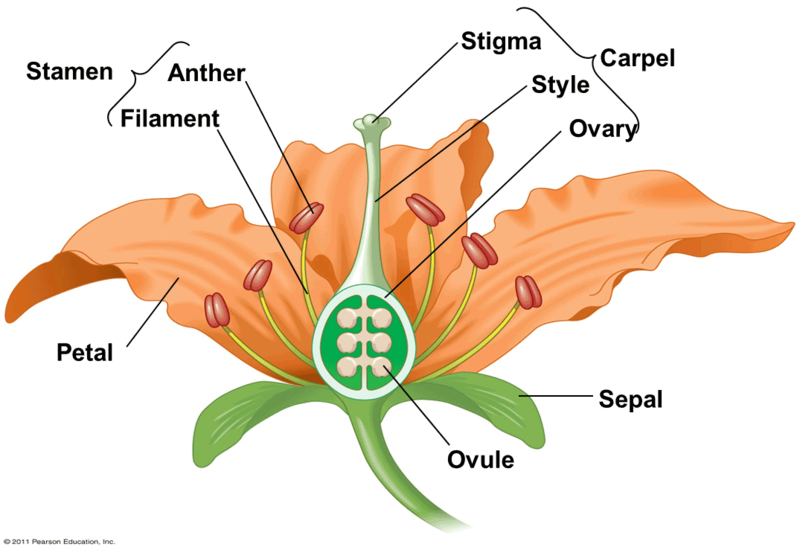 The male parts of the flower are called stamens. Stamens are made up of the pollen-producting anther supported on a stalk called the filament. The female part of the flower is called the carpel. The carpel is made of a stigma (adapted for receiving pollen), a thin style and a swelling at the base called the ovary. Inside the ovary are one or more smaller structures called ovules that contain the egg cells, ova that are the female gamete. The flower also has petals, often brightly coloured and scented to attract insects and that are protective structures that cover the flower when it is still a bud. Pollination is the “transfer of pollen from the anther to the stigma“. Please learn this definition! A few plants (such as the garden pea) self-pollinate. 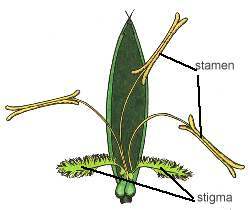 This means pollen grains from one flower stick to the stigma of the same flower. If you want to irritate me in class, tell me that this is a type of asexual reproduction because only one parent is involved. I will respond with a strange facial grimace and a low guttural growl…… You have been warned. A plant that self-pollinates is still undergoing sexual reproduction as it is making gametes (by meiosis so every gamete will be genetically different) and then fertilising them in a random process. The offspring of self-pollination will still be genetically different from each other but the total genetic variation will be less than if DNA from two different individuals is used. The vast majority of plants cross-pollinate. 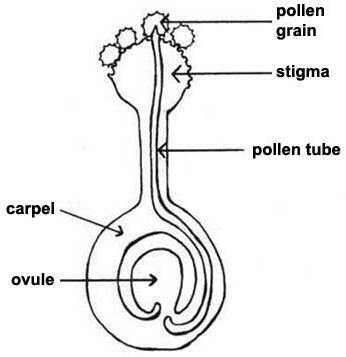 They transfer pollen from the anther of one flower to the stigma of a flower on a different plant. 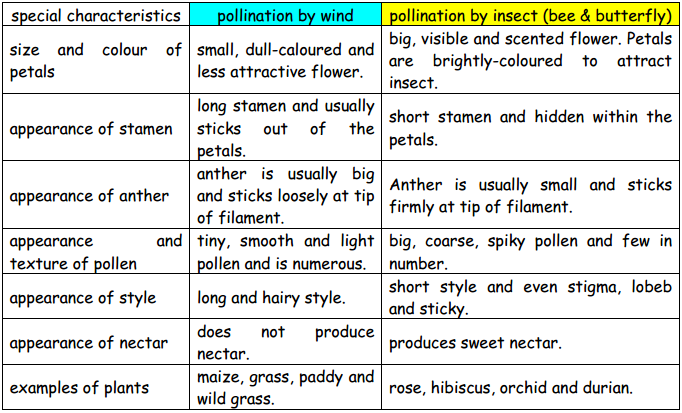 Cross-pollination can be brought about by a variety of mechanisms but the commonest two in the UK are by insects and by the wind. 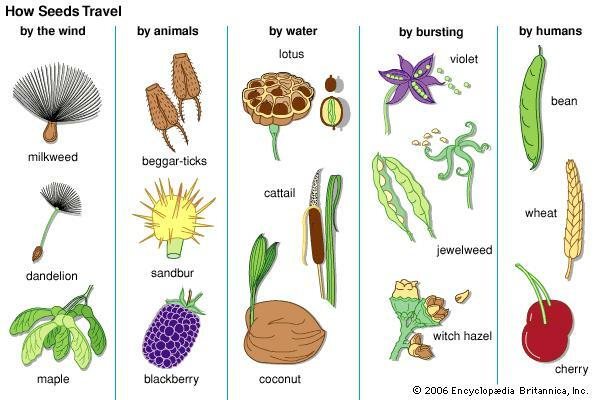 The diagrams above all show flowers that are pollinated by insects. But look at this flower. The stamens are large and hang outside the flower. The petals are green and small. The stigma is also hanging outside the flower and is large and feathery. This is a flower of a grass plant and typical of a wind-pollinated species.